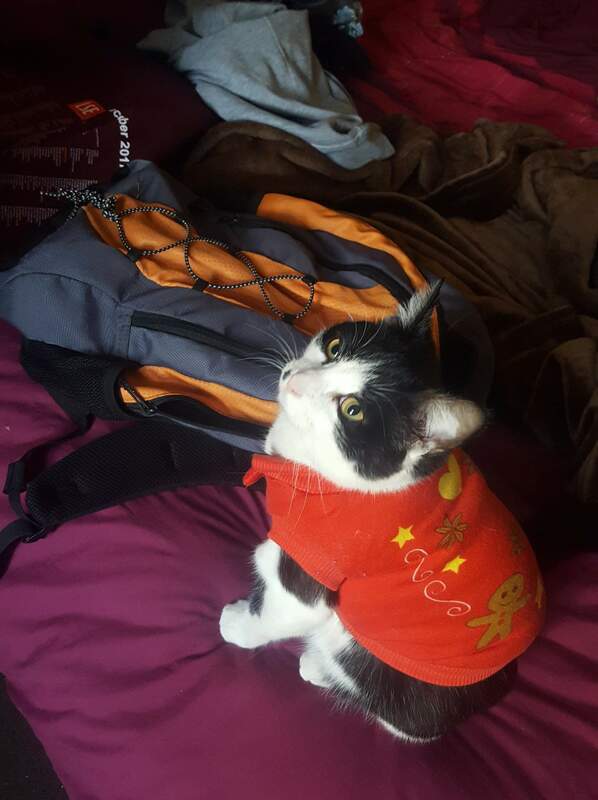 Puss is getting in the Christmas spirit! 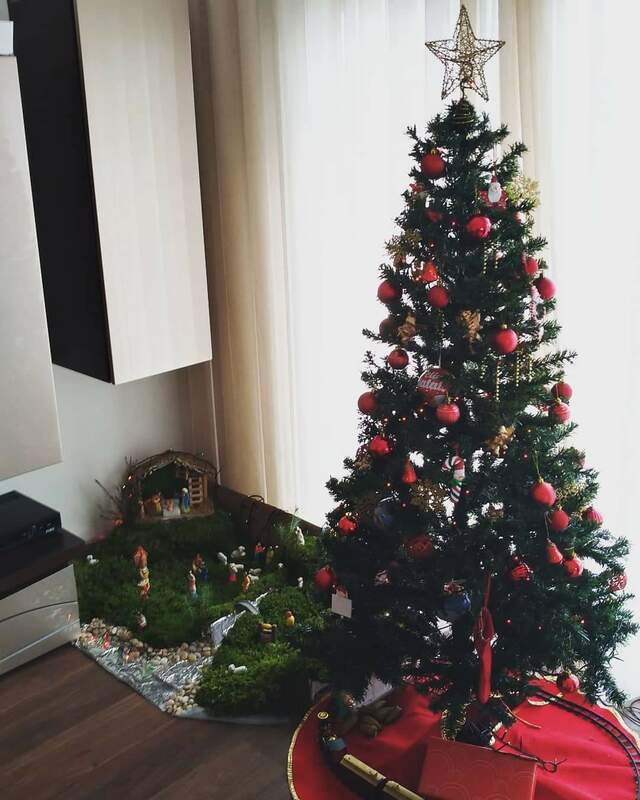 Our Christmas tree this year. 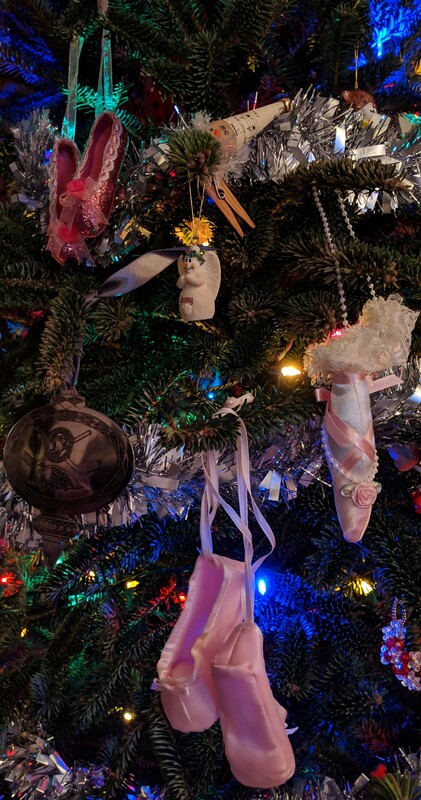 I'm not sure if you can see but there are not one, but three shoe/slipper ornaments hung up front and center. My wife and daughter torture me with these every year. Why are shoes on the tree?? On every Sunday before Christmas a candle is lighted. It starts 4 sundays before Christmas as you see. 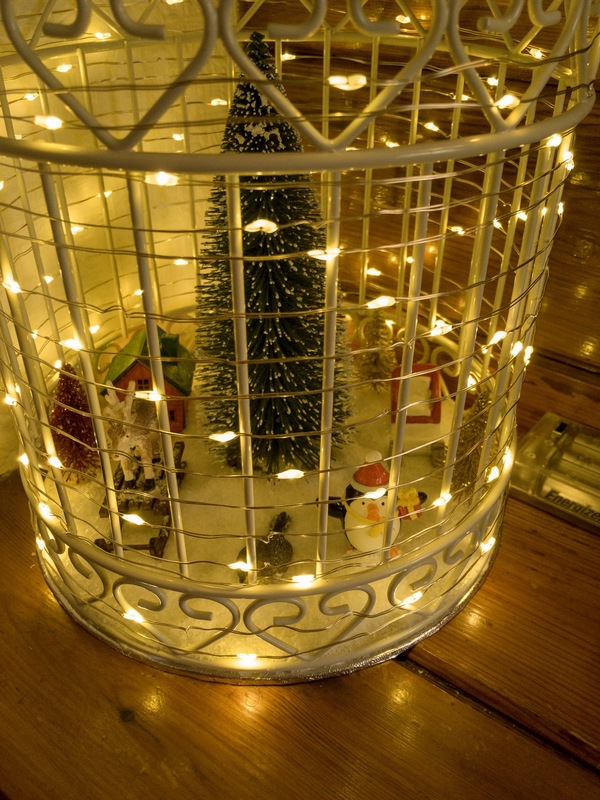 This cage came with a load of bath stuff in it and when it was empty I upcycled it and turned it into a mini Christmas cage with all sorts of festive stuff inside. It’s completed with snow and string lights. Each year new and different decorations go into it so it’s always something different. 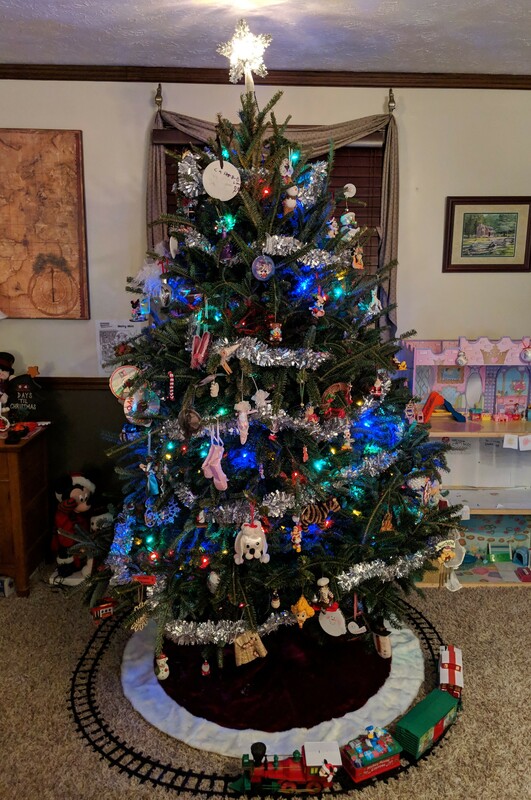 For me, what's interesting about my decoration is not the decoration itself (it's a pretty standard Christmas tree), but how we get it. 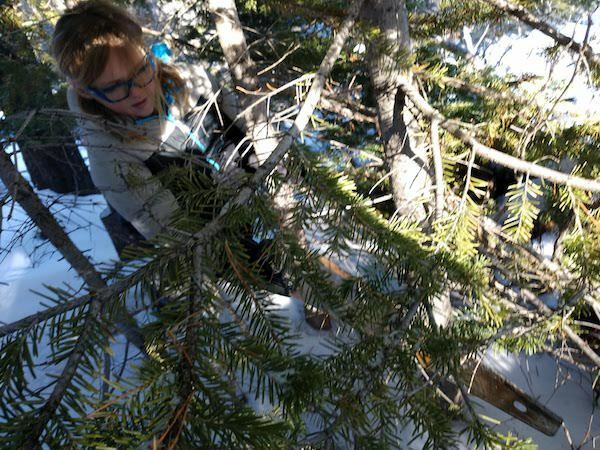 In Montana, you can buy a pass ($5) to harvest your own Christmas tree from the national forest. In most places in the US, you have to buy from someone that owns a Christmas tree farm. 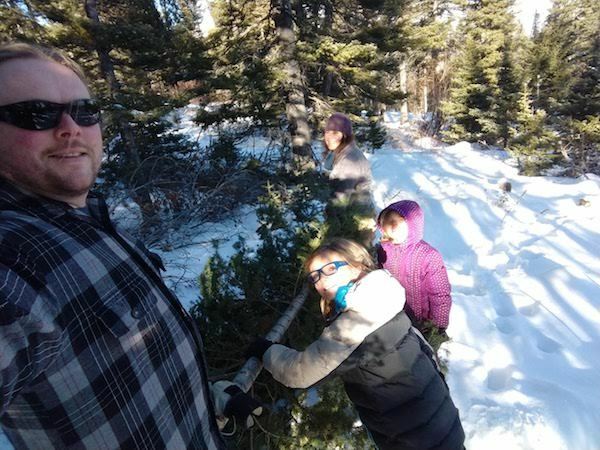 Some of the let you come along to cut down trees off of their farm, but very few people live in places where you can actually go out into the woods and cut down a tree that has grown in the wild. I am lucky enough to live in one of those places! And decorated it as a family! Voila! 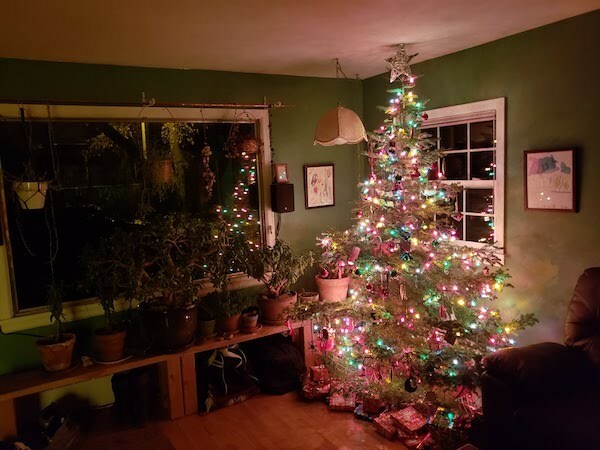 It's neat to know that we can get our own tree from the wild forest and have it in our house for the season. 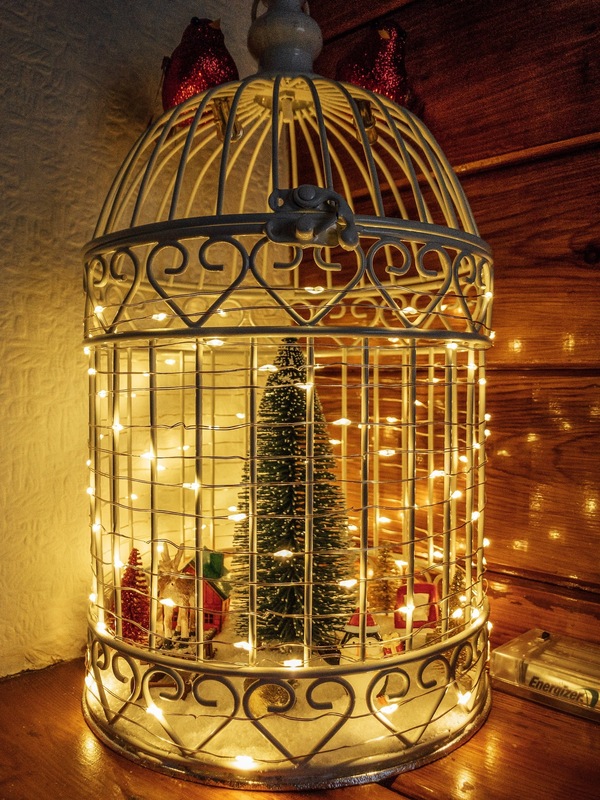 Like so many things, what makes our decoration special isn't that it is all that different from others, but the experience of how we got it and where it came from. 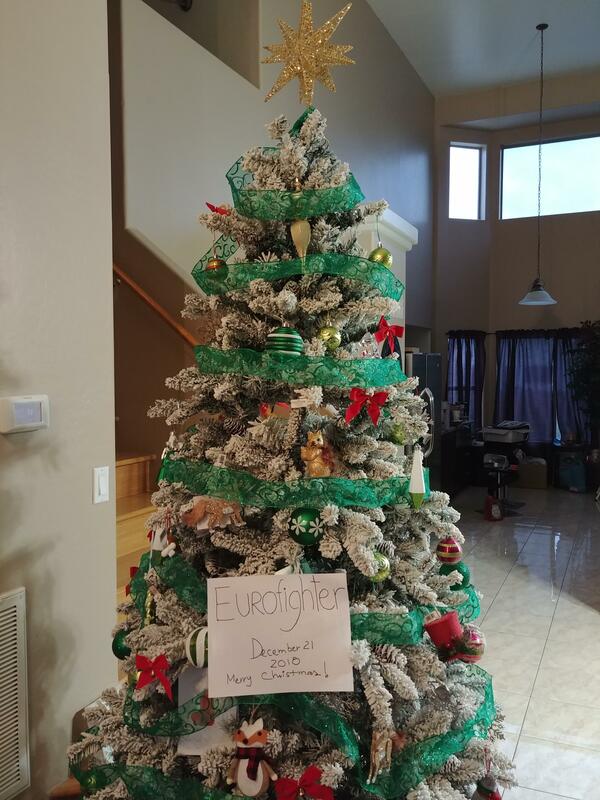 I remember when I was young, this is pretty far away, me and my father were "organizing" the tree. This was in the early 1950, not much money here in Germany. We were really poor in those times. We both went to the woods, sawing the tree. After this "work" my father took the saw, I the tree on a sledge. Of course we took different ways home. If I would have been caught by a forest ranger, I would have told him I have found this tree. But it never happened! So shhhhtt! My boyfriend loves technology, so our Christmas decorations are all controlled by Alexa. 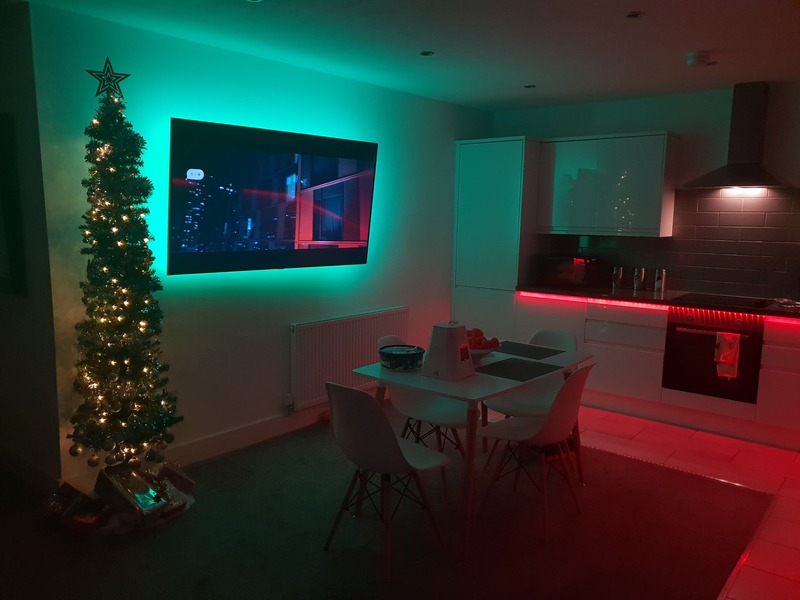 We are all ready for our first Christmas in our new apartment. All credits to my amazing boyfriend!! You can also tell Alexa to change the colours to any colour you want. Christmas Dino! He is about 3.5ft tall and gets a lot of stares and I get a lot of questions. congrats to @RuhRoh for the headset! Whow that looks really cool. So different from our old styled living here in Munique. And if it shuts down? When I had mine up and running I never shut it down. It was in a 24 hour UPS system so if we lost power it would still be running. I use to get paid to run programs for Stanford so it was worth it. But now I just use one of my laptops if I need to do anything more than just browse, which is mainly what I use my phone for. For browsing I never used WIN OS. An old laptop with LINUX would do it. Mine here is more than 10 years old. I think you got this! 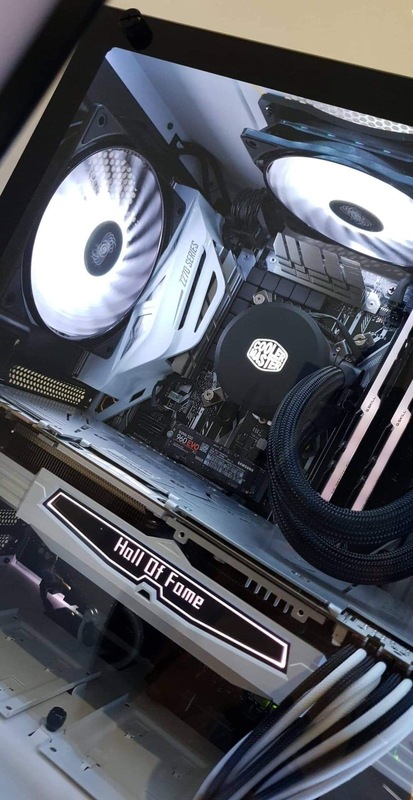 The PC it’s water cooled, using a AIO running a 5.0 Ghz overclocked processor with DDR4 3200MHz memory ram. 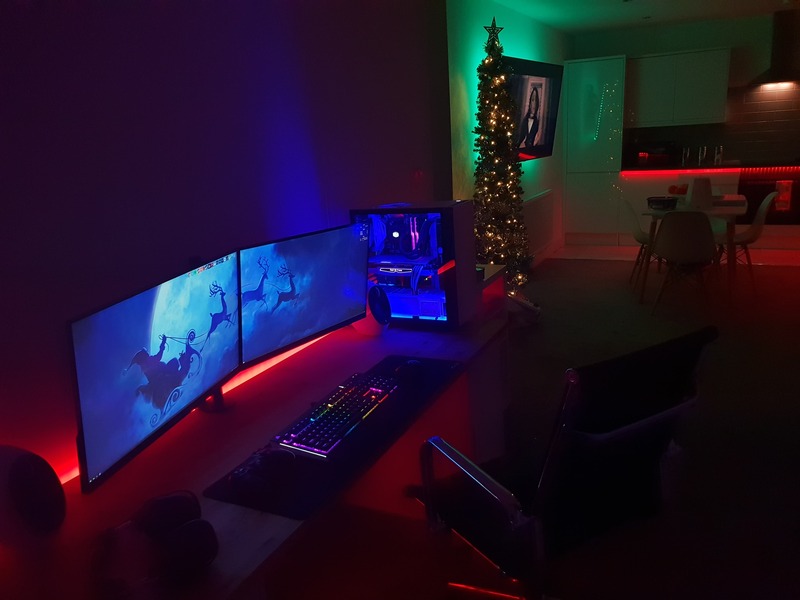 The lights are set to change with the beat of the sounds that are played at the moment but I also have other settings, one of them being, changing the lights to the temperature of the CPU or the usage of the CPU but I’m using rainmeter that tells me all the status of the computer on the desktop. But that idea to use the reservoir to change colours is really cool. My boyfriend will be looking to do a custom loop in the future.